We have been providing award winning planning and design services to public and private clients around the globe for over 40 years. We pride ourselves on taking a comprehensive approach to whatever challenge is presented, streamlining otherwise complicated processes with our experienced staff of experts. With over 30 employees, we are well qualified to handle a wide variety of projects. Our ability to provide specialists from within our firm in areas such as Cal Green and LEED, commercial interiors and entitlements adds to our strength and helps us be an even greater resource to our clients. Our wide range of expertise spans decades of planning, design and approval campaigns for both large and small projects. Doing business from the San Francisco Bay Area, we serve clients all over the western United States, Alaska, Idaho, Virginia, Hawaii, Mexico, China, Japan, and Bahrain. 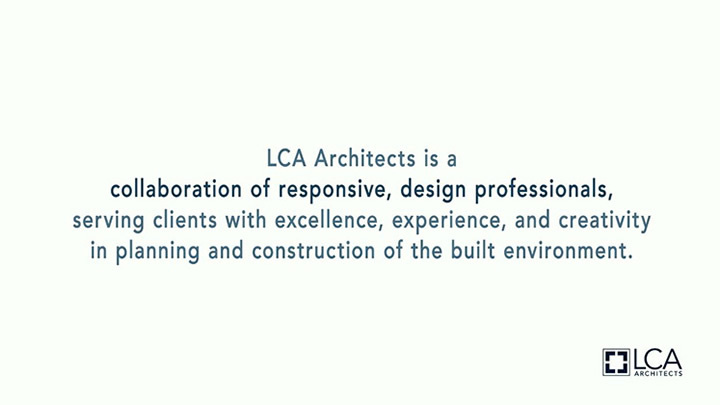 Stewardship of the earth is a matter we’ve taken seriously at LCA Architects since before the phrase “Going Green” was coined. We regularly make recommendations for water, power and HVAC efficiencies and specify sustainable products. As part of this priority, we’ve hosted and participate regularly in workshops regarding the California Green Building Standards Code (CAL Green) and have participated in both LEED Certified and Collaborative for High Performance Schools (CHPS) Commissioned projects. 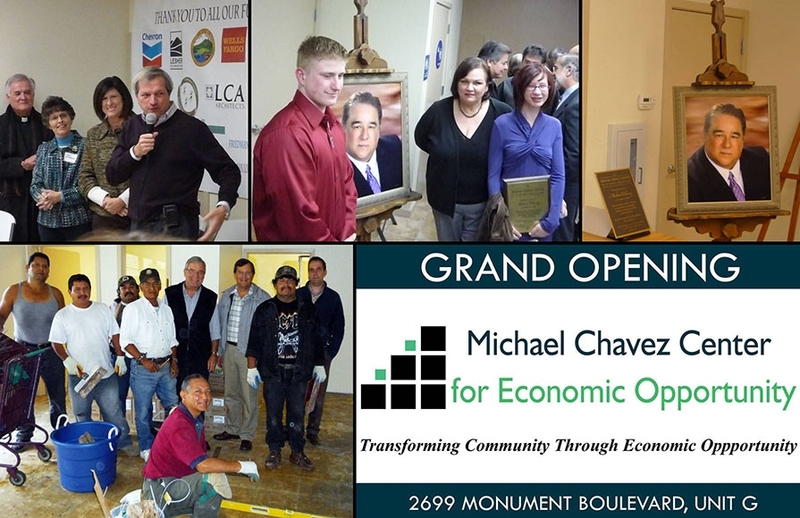 A cutting-edge economic development agency serving Concord’s Monument Boulevard community and beyond, the Center will help residents launch small businesses or cooperatives while providing programs that develop human, social and economic capital. LCA Architects contributed the design services for this Center. Associate, Norm Dyer, is a member of the board. 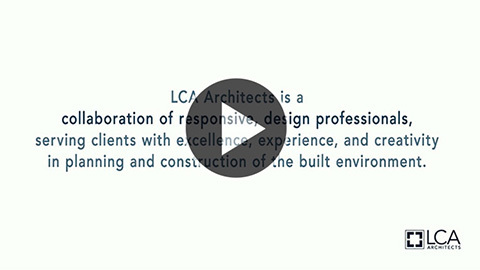 LCA Architects is the proud sponsor of the Diablo Valley College Architecture 298 course who participated in the Cal Poly Design Village Competition. 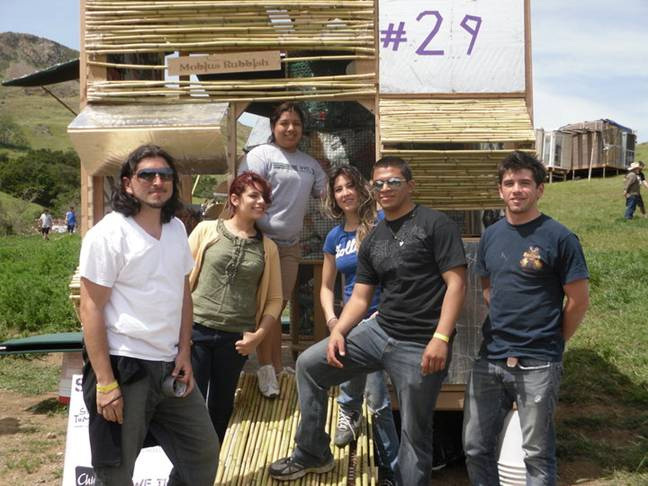 The goal of the Architecture 298 class was to design and build a structure that was taken to competition. This is a nation-wide event that attracts students and instructors from all over the country. Our group was composed of six DVC students who were exceptionally motivated and committed to the project in hopes of gaining experience in fields of architecture and engineering. The theme was “landfill luxury.” Our team was focused on creating a structure that consists of at least 80% recycled material and a maximum of 20% purchased materials. Furthermore, the competing groups were required to build a structure that would house them for the duration of the event. The six students were also required to carry all necessary building materials for their overall project, as well as food and water, on a one-mile hike. The evaluation of each individual project was referred to the judging of the complete craftsmanship, sustainability and excellence in the overall design, suitability to the theme, and public response. Project Description: Inspired by today’s modern alpine cabins, this unassuming home away from home is a dynamic structure that breaks the confines of its box-like shell. During warm weather, surfaces unfold to provide light, ventilation, and scenic views. In cold weather or when not in use, the structure remains enclosed, sheltering its occupants from the elements. This luxurious getaway features a sun porch, veranda, music studio, built-in closet, and skylight. With availability of natural resources declining, materials are recycled from local landfills and construction site. It stands elevated as a true testament to the saying that one man’s rubbish is another’s sanctuary. 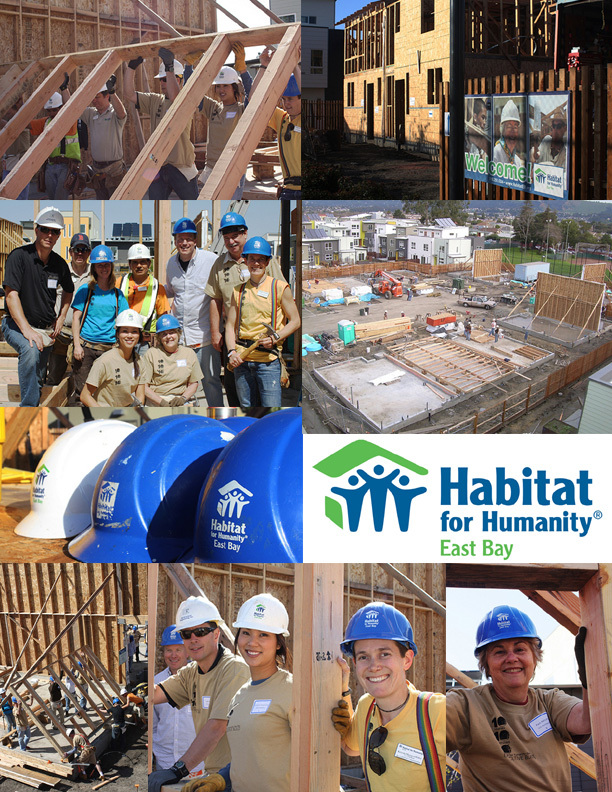 More than 50 Bay Area top executives traded in their suits for hammers and tool belts to lend a helping hand at the Kinsell Commons site in Oakland. Habitat’s development of Kinsell Commons will further stabilize the neighborhood by creating a mixed-income community and entry-level homeownership opportunities for low-income families. The target population consists of displaced Tassafaronga residents and local renters. Kinsell Commons’ homeownership units are an important part of how Tassafaronga will clean up the former industrial sites, improve pedestrian and vehicular linkages to the neighborhood and beautify the site which will improve the adjacent public park. This twenty-two townhome development is part of a larger development at Tassafaronga Village. The development will feature two homeowner sites. The entire Tassafaronga project is registered in the LEED Neighborhood Development Pilot Project (LEED ND) and the LEED for HOMES program. The Project plan has obtained the Stage 2 GOLD certification from the LEED ND program and Habitat has a goal of obtaining no less than a silver certification from the LEED for HOMES program.